By applying Cancer Subtyping Platform (CSP®) to specific types of cancer, GeneCentric has developed and is expanding on its’ portfolio of universal cancer subtypes/biomarkers – what we call ‘Profilers’ – for some of most prevalent and complex cancers. CSP Profilers in the areas of lung cancer and head and neck cancer are available for immediate use. These diseases share common molecular subtypes, allowing GeneCentric to leverage its expertise across both programs to accelerate Profiler development. Currently under development are CSP Profilers for bladder and prostate cancer, which will be followed by colorectal and ovarian cancer. Head and Neck Cancer, a group of cancers that starts within the mouth, nose, throat, larynx, sinuses, or salivary glands, is the seventh most common of all cancers. Because most majority begin in squamous cells which line the moist surfaces inside the head and neck areas, such cancers are also referred to as Head and Neck Squamous Cell Carcinomas (HNSCC). These cancers comprise a heterogeneous disease with multiple tumor types, with correspondingly varying prognoses and treatment responses. Advanced HNSCC is associated with a 40-50 percent recurrence rate following primary treatment. Human papilloma virus (HPV) infection is an important risk factor, but infection is present in only a subset of cases and knowledge of HPV status alone is not sufficient to guide treatment. 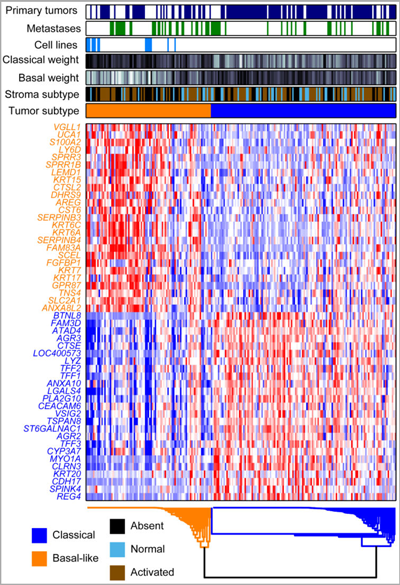 Better classification tools are needed to inform therapeutic choices and improve survival. To address this critical need, GeneCentric has applied our Cancer Subtyping Platform (CSP®) to develop a comprehensive profile of head and neck tumor subtypes that can guide drug development, clinical trials and patient treatment. The GeneCentric Head and Neck cancer Subtype Profiler (HNSP™) consists of five distinct subtypes, including one specific to HPV-related HNSCC, as determined through our research. Faruki, et. al., GeneCentric Therapeutics, Inc. Data on file. GeneCentric has developed two gene expression profilers (LSP 210 and LSP 220) that define molecular subtypes of the two most common forms of non-small cell lung cancer (NSCLC), squamous cell carcinoma, and adenocarcinoma. Published studies have demonstrated that the subtypes, while indistinguishable by standard morphology, have different genetic, molecular and clinical attributes yielding immune profiles that have potential to drive drug response. The most recent study, published in the Journal of Thoracic Oncology (June 2017), demonstrated distinct differences among the subtypes in the immune landscape. GeneCentric is applying its LSs in a collaboration with Bristol-Myers Squibb to determine their potential to identify drug response populations to the immuno-therapy Opdivo® (nivolumab). GeneCentric demonstrated initial validation of its subtyping approach with a genomic signature panel (LSP 110) that distinguishes NSCLC tumors from neuroendocrine tumors. Through an agreement with LabCorp, LSP 110 panel is commercially available as HistoPlus™. Jrnl Thoracic Oncology. 2017 Mar 21. Pancreatic Cancer is the 11th most common cancer type with an estimated 55,000 new cases in the US in 2018, according to the United States National Cancer Institute. While it represents three percent of all cancers, pancreatic cancer is one of the most lethal as it is so difficult to detect in early stages, accounting for seven percent of all cancer deaths and carrying among the lowest five year-survival rates – 8.5%. It is the third leading cause of death attributable to cancer in the U.S.
Pancreatic cancer occurs slightly more frequently in men than women, generally at an older age, and is more common among smokers than non-smokers. The most common type of pancreatic cancer occurs within the exocrine cells that comprise the exocrine glands and ducts. The exocrine glands make pancreatic enzymes that are released into the intestines to aid in food digestion (especially fats). Cancer within the exocrine tissues comprise the vast majority of all pancreatic cancers and are usually adenocarcinomas that emerge in the ducts of the pancreas (known as Pancreatic Ductal Adenocarcinoma, or PDAC). Less common types of exocrine-related pancreatic cancer include adenosquamous carcinomas, squamous cell carcinomas; pancreatic neuroendocrine tumors also occur, at a relatively low (<5%) frequency. 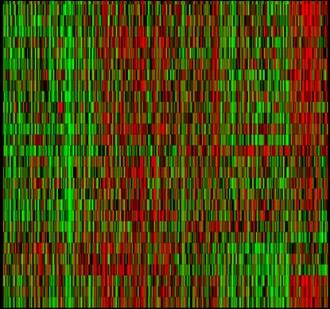 Based on extensive studies involving gene expression levels across hundreds of genes in PDAC cells, researchers at the Yeh Lab of the University of North Carolina at Chapel Hill’s Lineberger Cancer Center identified unique gene signatures classifying both tumor and stroma subtypes associated with PDAC. 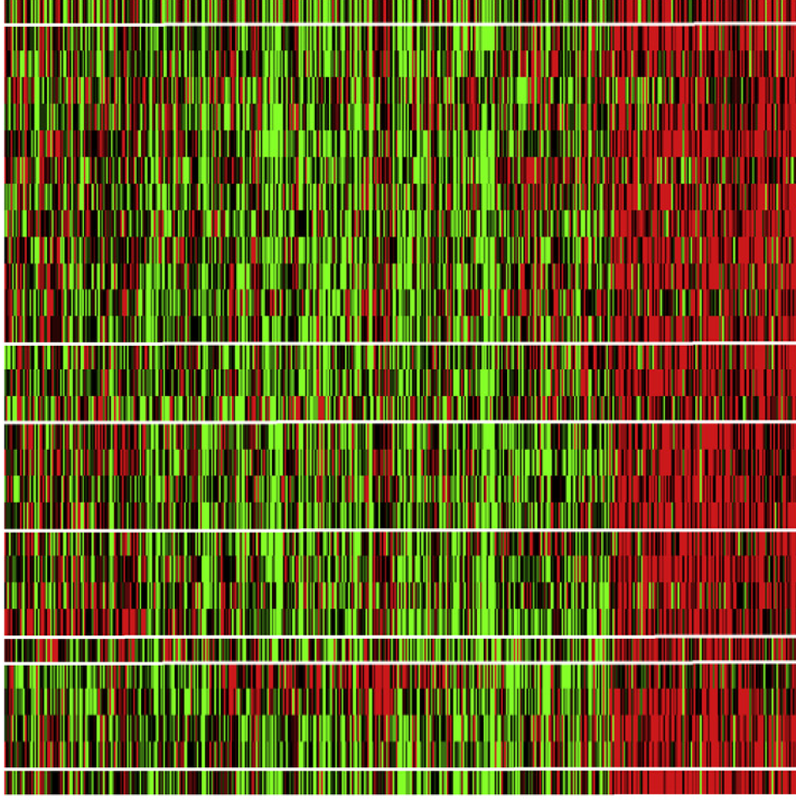 Dubbed PurIST, for Purity Independent Subtyping of Tumors, the profiler consists of two primary PDAC tumor subtypes – basal or classical; meanwhile the stroma subtypes are classified as activated or normal. GeneCentric is working with the Yeh Lab to reveal how these subtypes differ from one another with regard to key target genes, immune cell infiltration or expression, overall survival and response to anti-cancer therapies. These subtypes have been developed with the objective of providing information regarding likely differential response to treatments for PDAC and our goal is to advance them rapidly for use in drug development as well as in the clinic for the benefit of patients. Bladder cancer is one of the most common types of cancer which like lung and other cancers, is quite heterogeneous. Bladder cancer occurs more frequently in men than women, generally at an older age, and is more common among smokers than non-smokers. The most common type of bladder cancer begins within cells that line the inside of the bladder, urothelial cells – also called transitional cells – as they can change shape and stretch when the bladder is full. Other common types of bladder cancer are squamous cell carcinoma that originates in thin, flat cells which line the bladder, as well as adenocarcinoma that originates in mucous producing cells within the bladder. 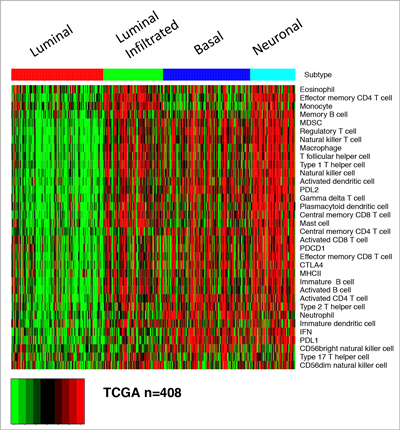 Based on experience in the classification of subtypes in lung adenocarcinomas, lung squamous cell carcinomas, as well as head and neck squamous cell carcinomas, GeneCentric is developing a comprehensive profiler for bladder cancers, consisting of four distinct subtypes as determined through our research. From recent TCGA findings (Robertson et al., 2017, Cell 171, 540–556 October 19, 2017) characterization of these subtypes reveals how they differ from one anothe with regard to mutation composition, immune cell infiltration or expression, and overall survival among other factors.